Most (or all) cars that have an automatic transmission have the reverse gear in front of the drive (forward) gear (and vice versa). What was the reasoning behind putting reverse (R) in the front and forward (D) in the back? To me, it seems intuitive that the gear that makes your car go froward would be in the front, and the gear that makes your car go backward would be in the back. However, most vertical gear shifters have it the other way around. Why is the R in front of the D gear in cars (and vice versa)? Was it just because the first car(s) with automatic transmissions had it that way, and then it became the standard? Barring the technical reasons in the comment, I'm guessing it's because you would usually reverse out of your parked spot and then drive forward? So in the user journey it's Parked Car -> Reverse -> Drive -> (maybe) Reverse into a spot -> Park and neutral would be the shock absorber between reverse and drive. That's a completely random guess, but I figure if there were a UX reason, this'll be close to it. Prior to this the gear pattern P-N-D-L-R was quite common. Such a pattern led to a number of deaths and injuries owing to driver error causing unintentional gear selection, as well as the danger of having a worn selector jump into reverse from low gear during engine braking maneuvers. The P-R-N-D selector pattern introduces a safe zone between the drive positions and reverse positions, making unintentional gear selection less likely. While modern gearboxes are machined to much higher tolerances, (and in many instances are governed by electronics), the familiarity of P-R-N-D prevails. 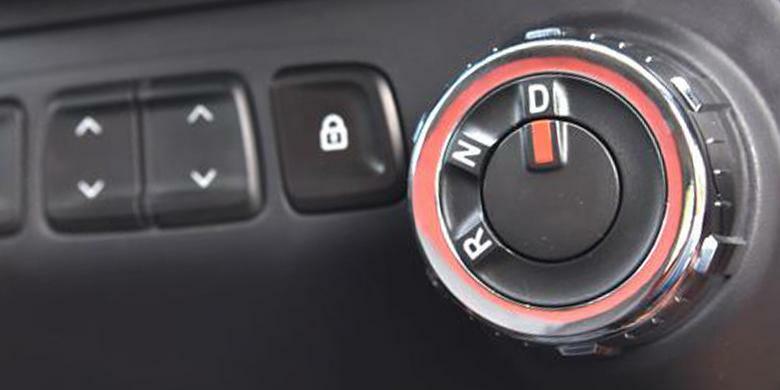 An example of where changing a recognised pattern like this can fail is the current Chrysler recall - unlike most gear selectors, which are in forward or back positions depending on whether the car is in park, reverse, neutral or drive, these cars' gear selectors always return to the upright position after a driver changes gear. If a driver gets out of a car when it's in neutral, the vehicle could roll away. A number of injuries have been attributed to this, and possibly the death of Star Trek actor Anton Yelchin, who died after his jeep rolled back on him in his driveway earlier this year. I think the standard gearbox is wrong, not intuitive. The normal orders for the simples one should be like the ones I attached. Yes I'm biased toward putting the gearbox in the left, and steer mounted. It will be more intuitive to relate Drive with Move Forward, or Move Up. The standard automatic gearbox also made the people (drivers) struggle in switching to manual gearbox. 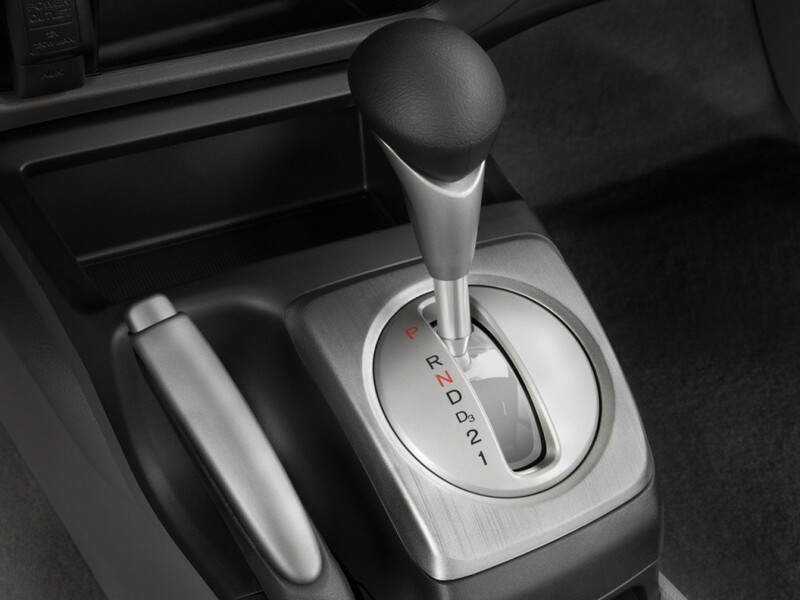 Many manual gearbox puts R in the bottom, and 1 as the initial gear to D(rive) in the top. I think the attached picture is interesting, in Renault kwid. I cannot comment for Tarek answer, so I add another answer. "I'm guessing it's because you would usually reverse out of your parked spot and then drive forward? " To get out of parking lot. "So in the user journey it's Parked Car -> Reverse -> Drive -> (maybe) Reverse into a spot -> Park and neutral would be the shock absorber between reverse and drive." I don't get the initial part of the sentence. But for "Park and neutral would be the shock absorber between reverse and drive." I think yes. The sequence I wrote above shows that park and neutral are the shock absorber between reverse and drive. "That's a completely random guess, but I figure if there were a UX reason, this'll be close to it." Thank you for the info about standard. Any standard can be a double edge sword. If many people have been forced to it; a bad standard can be deemed good. That happened with QWERTY keyboard, for example. I think P-R-N-D is a bad standard, it's not intuitive. Concerning car crashes, in Indonesia there are several casualties of people driving automatic car in reverse from the parking lot in some stories high. As usual, there are speculations about the causes. I suspect that the cars fell because the drivers (that might be new to automatic transmissions but have driven manual ones before) [! 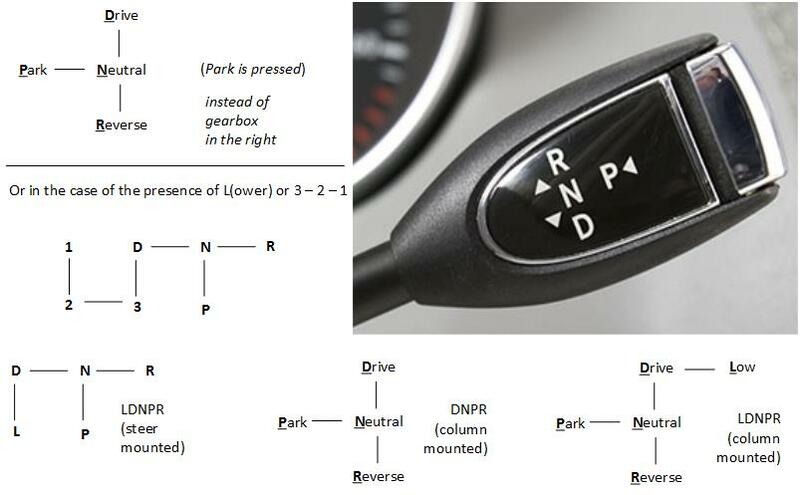 [confuse shifting the gear FORWARD (which means drive in manual transmission) with the BACKWARD movement (as the result of PRND). It is easy to park with N instead of P. The results are catastrophic. I still think the standard is bad. Concerning L, here is my idea for gearbox that is not steer mounted. "P should be at one end of the shift throw, so there is little chance of mistake when you engage park." Agree, but that should not limit ourselves to PRND. P can be the horizontal axis with N. It saves the driver when s/he engages park. If my picture is updated, you can see that. Park can be horizontally away from N, instead of vertically. I don't think that clause is the logical one. The option of switching R and D does not necessarily limit ourselves to PRND. "D and R should not be next to each other, for reasons mentioned above, so it makes sense to place N between the two, to give that safety buffer." "With that taken into account, that only leaves the option of switching R and D - so you either have a PRND layout or a PNDR layout." That does not logically follow. First, P does not have to be in front, as my picture shows (for column mounted or steer mounted) Second, I think the options should be "so you either have PRND layout or PDNR layout", following the assertion that there should be a buffer zone between D and R.
It is the right of USA society to set standard, but I think the design of PRND is particularly not intuitive and should not be the only standard. "Now introduce low range gears, your choices are reduced to PRND21 (standard), or PND21R, and PRND21 begins to make more sense." I disagree. Some cars introduce L only. Some cars use 321, some use SL. Those two options should not be our only choices.